Former CIA director John Brennan has hit back at President Trump’s claims of no collusion with Russia in the 2016 presidential election and called his comments “hogwash”. 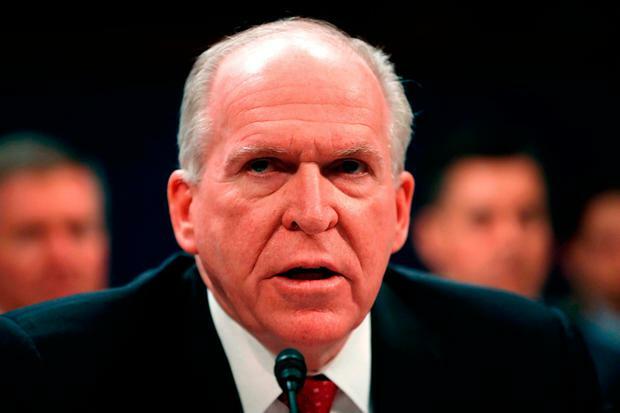 The remarks, posted on the ‘New York Times’ website, came a day after Mr Trump announced he was stripping the security clearance of Mr Brennan, who led the CIA during most of President Barack Obama’s second term and has emerged as one of the Trump administration’s fiercest critics. In his article, Mr Brennan characterised Mr Trump’s action as “politically motivated” and said it was “an attempt to scare into silence others who might dare to challenge him”. Mr Brennan wrote that it is “critically important” that special counsel Robert Mueller be permitted to complete his investigation into Russian interference in the 2016 election and whether Mr Trump’s campaign colluded with Russia. While Mr Trump has repeatedly insisted there was “no collusion”, Mr Brennan wrote that the “only questions that remain are whether the collusion that took place constituted criminally liable conspiracy, whether obstruction of justice occurred to cover up any collusion or conspiracy, and how many members of ‘Trump Incorporated’ attempted to defraud the government by laundering and concealing the movement of money into their pockets”. The former CIA director took aim at Mr Trump over his public call as a candidate in July 2016 for Russia to help find missing emails of his Democratic opponent, Hillary Clinton, who was being scrutinised for having used a private email server while secretary of state. “By issuing such a statement, Mr Trump was not only encouraging a foreign nation to collect intelligence against a United States citizen, but also openly authorising his followers to work with our primary global adversary against his political opponent,” Mr Brennan wrote. “Such a public clarion call certainly makes one wonder what Mr Trump privately encouraged his advisers to do – and what they actually did – to win the election,” Mr Brennan said. Mr Trump said on Wednesday that he was also reviewing the security clearances of nine other former officials, including former FBI director James Comey, all of whom have criticised the president or been targeted by congressional Republicans seeking to discredit the Russia probe. Former National Security Agency director Michael Hayden and Bruce Ohr, a Justice Department official currently in the criminal division, were also on the list that threatened to revoke security clearances. Mr Brennan has frequently criticised the president on television news shows and in blistering tweets that Mr Trump called “wild outbursts”. Reactions from Republican lawmakers were mixed, with some critical of Mr Trump while others blamed Mr Brennan for acting inappropriately.